The reading of all information on www.polkadotblonde.com is of your own free will. If you do not accept these Terms and Conditions, you should cease use of this website immediately. Polka Dot Blonde maintains an email mailing list of those who freely subscribe via a third-party server, in this case Mail Chimp. These emails are used by the blog owner only to email blog newsletters, occasional updates, and promotional content. You are free to unsubscribe at any time using the link at the bottom of your newsletter emails. Your email will never be passed on to third parties by Polka Dot Blonde. 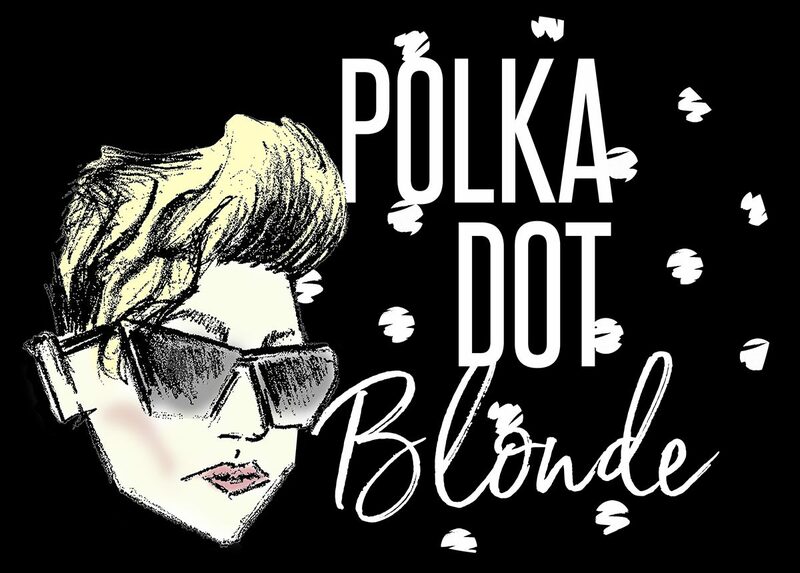 Polka Dot Blonde is not responsible for any republished content from this blog on other blogs, websites, blog comments or other media. Credit card or debit card numbers. Social security numbers or tax identification numbers. We may periodically send emails about new blog posts or blog newsletters using the email address which you have provided. Security: We are committed to ensuring that your information is secure. Any of your information collected by secure third-party processors is subject to their own privacy policies, not ours; therefore, you and we hereby agree that we will have no liability in connection with the actions or inactions of these processors. Our Pledge to You: We will not sell, lease or distribute your personal information to third parties unless we have your permission or are required by law to do so. Opting Out and Managing Your Information with Us: You may choose to stop the collection or use of your personal information by opting out at any time as provided here. If at any time you believe that any information we are holding on you is incorrect or incomplete, please contact us by email at polkadotblonde027@gmail.com including the words “contact info correction” in the subject line. If at any time you no longer want to receive emails similar to those you are receiving from us, you may unsubscribe using the “unsubscribe” link or button at the bottom of our email messages or, if you prefer, you may unsubscribe by contacting us by email at the email address above including the word “unsubscribe” in the subject line. If you choose to unsubscribe, we wish you all the best, and you’re welcome to re-subscribe at any time. Polka Dot Blonde allows comments to be added beneath all blog posts on this site. The information collected here, which may include names, email addresses and/or website URL’s, will not be added to my mailing list, nor will it ever be passed on or shared with third parties. There is a comment check box which you must tick only if you are happy to allow your data to be collected for the sole purpose of adding your comment beneath the blog post. If you are not happy for your data to be collected and stored, do not check the box, and your data and comment will not be added to the Polka Dot Blonde blog. Polka Dot Blonde may contain links to other websites of interest. However, once you have used these links to leave our site, you should note that I do not have any control over that other website. Therefore, I cannot be responsible for the protection and privacy of any information which you provide while visiting such sites and such sites are not governed by this privacy statement. You should exercise caution and look at the privacy statement applicable to the website in question.